This inside information changes on the first of each month and is designed to give members specific guidance in how to best use each month's Lunar cycles. Select a section on the left to explore your power tips for this month's Lunar cycle. 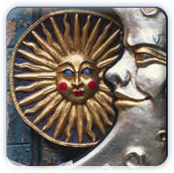 Consult Jan Spiller's book - New Moon Astrology - for the complete "Rules of the Road" for wishing under the New Moon. For immediate guidance on navigating emerging crisis situations.